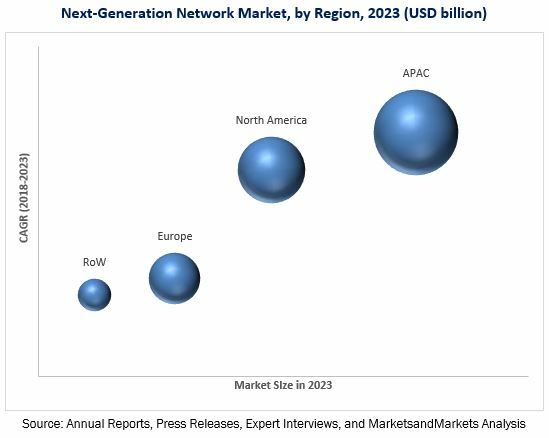 [117 pages Report] The next-generation network market was valued at USD 20.20 billion in 2017 and is projected to reach USD 32.81 billion by 2023, at a CAGR of 7.0% during the forecast period. The base year considered for the study is 2017, and the forecast period considered is 2018–2023. This report provides a detailed analysis of the NGN market based on offering, end user, application, and region. The report forecasts the market size, in terms of value, for various segments with regard to 4 main regions—North America, Europe, APAC, and RoW. It strategically profiles the key players and comprehensively analyzes their market rankings and core competencies, along with detailing the competitive landscape for the market leader. The research methodology used to estimate and forecast the NGN market begins with capturing investment in the NGN sector through secondary research. Secondary sources referred to this research study include government sources, industry associaton publications, International Telecommunication Union, GSM Association, World Economic Outlook, trade websites, Hoovers, Bloomberg Businessweek, Factiva, OneSource, World Bank data, corporate filings (such as annual reports, investor presentations, and financial statements), and trade, business, and professional associations. The bottom-up procedure has been employed to arrive at the overall size of the NGN market from the revenues of key players in the market. 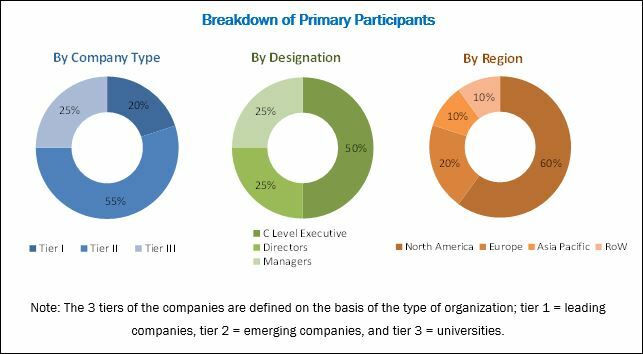 After arriving at the overall market size, the overall market has been split into several segments and subsegments, which have been verified through primary research by conducting extensive interviews with industry experts such as CEOs, VPs, directors, and executives. The data triangulation and market breakdown procedures have been employed to complete the overall market engineering process and arrive at the exact statistics for all segments and subsegments. The breakdown of the profiles of primary respondents has been depicted in the below figure. The value chain of the NGN market comprises NGN network providers, service providers, integrators, and end users. Players operating in the NGN market include Cisco (US), Huawei (China), ZTE (China), Ericsson (Sweden), Nokia (Finland), Juniper Network (US), NEC Corporation (Japan), Samsung Electronics (South Korea), IBM (US), Ciena Corporation (US), Hewlett Packard Enterprise (US), AT&T (US), ADTRAN (US), TELES (Germany), KPN International (Netherlands), Infradata (Netherlands), PortaOne (Canada), TelcoBridges (Canada), CommVerge Solutions (Hong Kong), and Extreme Networks (US). This research report categorizes the next-generation network market on the basis of offering, application, end user, and region.